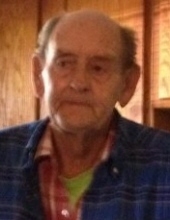 Don Jenkins, 78, of Moss Point, MS passed away on Sunday, March 17, 2019 in Pascagoula, MS. He was born January 14, 1941 to the late Ora Jenkins. He worked in construction with heavy equipment, drove trucks, was an avid wood worker, and could build just about anything. He was always doing something to keep busy. He enjoyed being outdoors and taking care of his animals. He will be remembered as a loving husband, father, “Papaw”, and great-grandfather. Don is survived by the love of his life and wife of 58 years, Willie Jean Jenkins, who he always lovingly referred to as “Honey”; children, Donnie Jenkins, Bonnie (Danny) Cothran, Danny Wayne (Lisa) Jenkins, Christie (Richard) Bernard, Sandra Worthing, and James (Samantha) Jenkins; 10 grandchildren and 5 great-grandchildren; along with numerous friends and family. To send flowers or a remembrance gift to the family of Don L Jenkins, please visit our Tribute Store. "Email Address" would like to share the life celebration of Don L Jenkins. Click on the "link" to go to share a favorite memory or leave a condolence message for the family.